Its time to put our grown up pants on as a community. Westfield is no longer a sleepy country town being driven through on the way to Kokomo or Indianapolis and no longer is it home to the “worlds largest” Dairy Queen which I have always found hard to believe but whatever. Westfield now has close to 40,000 residents, 6 elementary schools, Grand Park and the go to spot for new homes to be built. This is all naturally happening as in reality Carmel is full and the only way to grow as a county is north, right into the lap of Westfield Indiana. But for some reason as a community we can not seem to figure out how to go from “little brother” status to King of the Hill. We have all these great things going for us and so many tremendous opportunities but we tend to just stay on hold as an entirety. I may be completely out of my mind and most of my friends would agree but I think this problem is something that as a community can be corrected and turn Westfield into a leader and no longer just picking up the scraps. So whats the solution you may be asking me and truthfully I think its in a community that is involved and a community that uses its resources and skillsets to solve everyday problems that do not need to exist in such a successful community of people. So I am going to list areas we need to jump in and stop letting others just operate but to engage as residents and be a part of development, growth and sustainability. Of course this is meant to help others identify where they can be an asset to a community and no longer wake up each day hoping someone fixed the sidewalk or lowered the taxes over night. Nothing changes without participation and Westfield is a perfect case study for this. 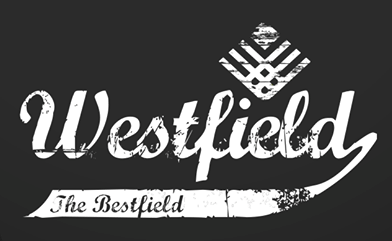 Volunteer – Westfield has a ton of volunteer opportunities and some really great organizations that just need a little manpower to be awesome. One of the focusses of Westfield is being good stewards to youth and keeping them on the right track so we have some very good groups that work tirelessly to prevent and lead. Student Impact of Westfield and The Westfield Youth Assistance program are 2 that are special to me that do things behind the scenes that to me are more valuable then any tax revenue or press release. They Mentor, Tutor and Engage the children of westfield and help guide them as they are needed. But it just doesn’t happen. They have dozens of volunteers to Mentor, Tutor and Engage. Hear that? A small number of residents get off of Facebook and volunteer to Mentor, Tutor and Engage with these kids and each of them will tell you the reward far out weights the commitment and they would encourage everyone to dab their toe in for the experience. Volunteering as a community is important and with a city our size, we should not have the lackluster turnout for any organization trying to do well. I say find a group you care about and spend some time with it. Planning – Westfield seems to not be real sure what we are as development goes and really its not important to think we are something as it is to become something. When you look around a restaurant and see the impressive people and resumes its surprising to me the lack of input these experts give our leaders and developers. I will explain this to you in a relatable visual way. In 2000 Carmel was or size population wise. They had business leaders fighting to put their corporate headquarters there, they had homebuilders scrambling to provide all types of housing and they had specific plans on what they would look like at double the size. I don’t want to be Carmel but I do think we have a community of people that could boost us in the planning sense. We need these experts to sit in on meetings and engage leadership and developers as to what will make them act as apposed to wondering when the next retail center is coming in. We need business owners to commit to a public/private partnership as a way to trigger development and create a long overdue downtown. And we need industry experts to take the time to help guide investors as they see an opportunity but just may not have the experience in bringing an idea to market. I speak with city leaders, landowners and people with a bunch of cash that want to make something happen but they just don’t have the expertise needed to get there. Step in and spend some time working on your communities future development. Give Stuff – I have a problem and its that my mom taught me to be generous with everything I have whether its money, clothes or possessions that may benefit someone else and in a small way I think its a mindset that makes a community. Its amazing how much people give to help others on a daily basis but it can always be more and can always be more creative. Its important for us to use the resources we are afforded to help others that may not have the same to them. This is not a chant to make everyone equal or a guilt trip but a call to locals that have resources to share and to be generous with them. My world revolves around investor money and they rarely spend it to break even, so I understand that giving away everything and not enjoying our success is not the answer. What I am saying is for people to pay attention and look for opportunities to help out where they can comfortably. Its a pretty rewarding process and its never made me lose sleep watching someone enjoy being helped. Show us the Pudding – Ok so now that we have committed to volunteering for our community on a regular basis, applying our expertise to help grow and being generous to keep things afloat we need to see the return. Yes we want to see results as a community because the reason we have time to volunteer, expert knowledge and resources to share is we are results driven people. We want to see non profits truly have a means of sustainability if we are going to get involved because supporting someone else’s hobby or passion is not that rewarding if we can not see measurable results. 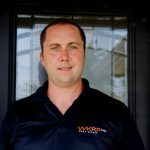 We want to offer up our expertise and hope for great development in our community. But asking me to spend weeks and years planning without anything coming to fruition is a waste of my time and will not inspire me to stay engaged. Have a goal, bring the experts together and then let the market drive progress but “dreaming big” better have an end product or you lose those very people that can make the big dream come true. And lastly use our resources well. Many times people are asked for stuff or resources but are burned. Its amazing when generosity of others is met with an irresponsible recipient. There are as many stories of people watching their kind gesture be abused as not and it can sour the giving spirit of a local community quickly. Take the offerings and expand with them.